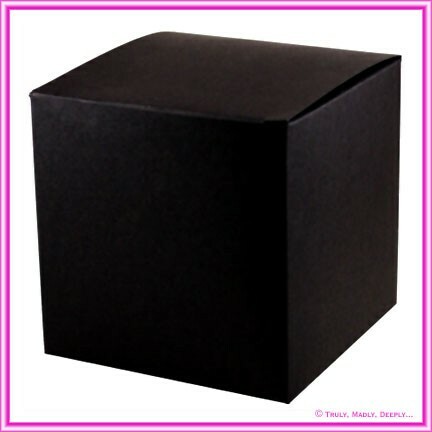 The 10cm cube is one of the larger bomboniere / favor boxes and is ideal for packaging cupcakes and candles. This paper is also known by some as Metallic Pastel Cream. Lovely premium metallic beige/cream paper with a very subtle oyster / lilac like shimmer - double sided colour. The box measures 10cm x 10cm x 10cm or 100x100x100mm and arrives flat packed for easily assembly - no glues required, just simple folding! This is one of the very few metallic paper ranges suitable for inkjet, bubble-jet and laser printers*. As a result it is the most widely used paper range for DIY wedding invitations and projects as most household and standard office printers that accept heavy weight card stock will produce beautiful results. 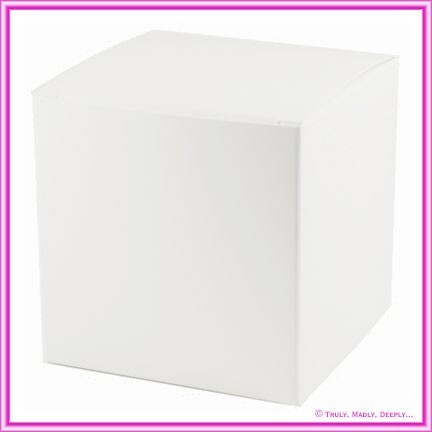 Other box sizes such as 5cm cubes, 3 Chocolate boxes, purse boxes, cake boxes & chair boxes are also available. This is Genuine Curious Metallics stock from the UK - not a cheap flimsy Chinese copy.